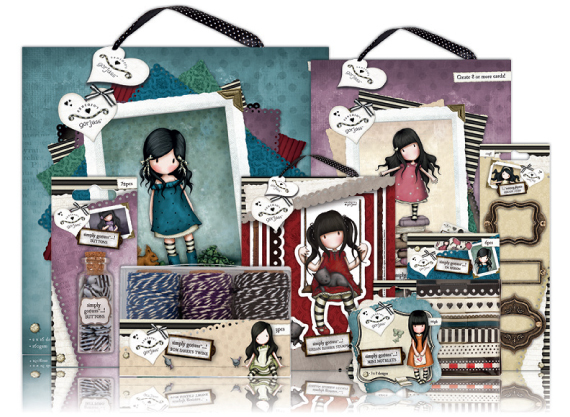 Wow, the new Gorjuss products from DO Crafts are now in-store, along with all the other goodies DO released this month, and you are going to love them - there are notelets, paper packs, ribbons, buttons, brads, decoupage, stamps.... need I go on? and they are all, well.... GORJUSS! Why not come in and see for yourself. The stamps are particularly special - a fantastic size for using with your favourite colouring media. In fact a few of these naughty wee girls managed to jump into my shopping basket over the weekend and now have a new home on my crafty desk - I think you might fall in love with them and want to take some home too. Want to know what's been happening in the shop?